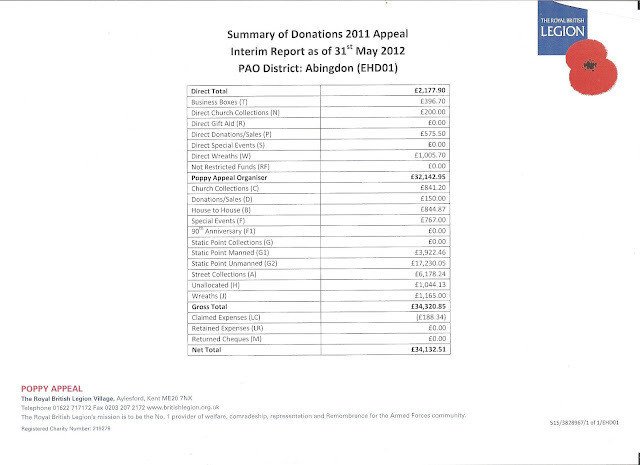 Included in the pack was the banked Poppy Appeal monies for Abingdon and District up to and including 31 May 2012. I should point out at this point that the end of the Poppy Appeal year is September so another statement will be received when the year closes. This year up until May 2012 Abingdon and District raised £34,132.51 which is a simply amazing total - Abingdon should be proud.